Apps are the future of television and apps like HULU, NETFLIX and watch ESPN are already used to watch TV shows on computers and mobiles. What Apple has done is – it has bought the same into your living room with Apple TV. This gadget would make your TV as personal as your iPhone and iPad. 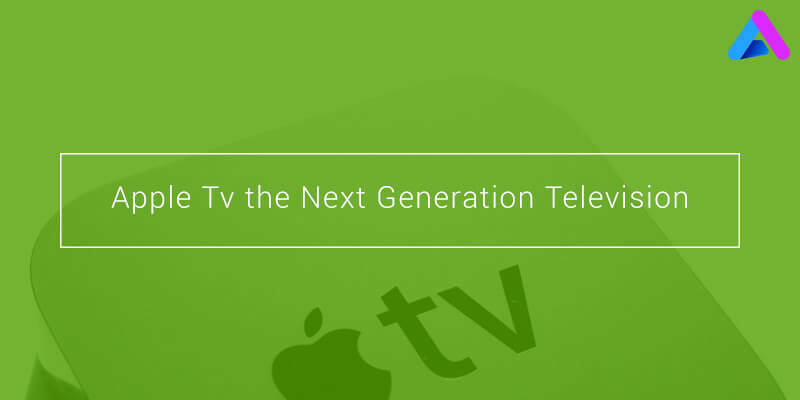 Apple TV is integrated with apps like Netflix, Hulu and iTunes that bring you hit TV shows and movies on demand. HBO NOW and SHOWTIME brings you the classic and cult movies of Hollywood. For sports lovers WATCH ESPN brings exclusive series of various sports events. Apart from this, educational channels, kids, infotainment and much more is there in such a small package. Gamers paradise: Video games are always fun to play and Apple TV has made the overall experience of gaming more fun. You can enjoy the same games that you love to play on your iPhone on the bigger screen. Apart from the lovely games, you can do a lot of other activities like booking travel accommodations and many other things. Apple has already gifted us marvels like iPhone and iPad that have made the whole world fit into our pockets. Now it’s the turn of the big screens to get the Midas touch. With the new operating system tvOs and Siri remote, television wouldn’t have been better than this. Are you bored of scrolling buttons on your TV remote? No need to worry because Apple TV comes with a Hey Siri integrated remote. Just tell Siri, what you want to watch and it will present the required channel or ask Siri “ Hey Siri, find me some sports shows and it will scan through the various apps and a vast array of options would be in front of you. The experience is same like you are directly interacting with your television. Most of the products made by Apple serve a common purpose, i.e. connecting the users with their screens, but how about giving the same experience on TV? Confused?? Don’t worry, Apple TV comes with a new remote with glass touch that provides you the same awe feel as you get when you use your iPhone. You even don’t have to look down to search the button on the remote. In addition to this, it also has Hey Siri option integrated with it that is capable of finding anything and everything. The Apple TV’s new approach to apps has taken the tech world by storm, and with Apple’s recent announcements, there are lots of great features in store to get excited about. Only time will tell just how the Apple TV will develop as a home entertainment system, but for now, the Apple TV’s future potential is exciting to say the least. AppInventiv Technologies is the most sought after mobile app development company in India providing top grade iPhone application development services across the globe. AppInventiv boasts of the top iPad app developers and designers who create captivating designs and give rise to the most unique ideas related to mobile apps.